Hearing is one of our most important senses. Having the ability to hear well has a large impact on an individual’s quality of life. Hearing connects us to our loved ones, our jobs and our favorite activities. When hearing is reduced, there can be a serious breakdown in communication, and a change in the way we connect with people and our environment. Many people suspect that they have a reduction in their hearing range; they may frequently ask others to repeat themselves or blame others for mumbling or speaking too softly. The people around us think there may be a hearing problem when they have to repeat themselves, or their spouse turns up the TV “too high.” Some people with hearing loss may remove themselves from conversations and activities because they are unable to fully interact and enjoy them as they once did. This can lead to feelings of frustration and even isolation in the household, at work and in social activities. The only sure way to know whether you have hearing loss is to have a baseline hearing test. Hearing loss typically occurs gradually over time, and the average person waits seven years before getting a hearing test. Can you imagine 7 years of frustration for yourself and your loved ones? Talk to your primary care physician and ask to be referred to our audiologists for a complete audiological (hearing) evaluation. You will gain knowledge about hearing loss and the test can be used as a baseline to refer to in the future. Existing hearing loss should be monitored by annual re-evaluations, and if appropriate, hearing instruments should be used. Remember that hearing is a vital connection to the world and the people around us. Hearing should be valued and cared for through good hearing health practices. At your first appointment, you and the audiologist will discuss your hearing history and communication needs. This will allow them to understand what factors contribute to your specific hearing difficulties. To make the most of the evaluation, it is good to come prepared. Before your appointment, spend a few moments thinking about how hearing affects your life; what challenges are you experiencing, in which situations do you notice it most, who else in your life is it affecting, and what would improve if you could overcome these challenges? In addition, bring a current list of all medications, vitamins and supplements that you take on a regular basis. Know their name, dose, when you take them, and how you take them. (Also this is a good list to keep in your purse or wallet in case of an emergency.) Know why you are taking these medications. If you have a lengthy medical history, writing it down before you come in will be helpful to both you and the audiologist. Bring someone with you such as a spouse, family member or friend. Often the people who we are closest with may notice a hearing and communication problem and it is typically this voice that is the most important to hear! 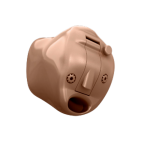 Having this key person present will assist the audiologist during the hearing aid demonstration portion of your appointment. Mixed Hearing Loss– This kind of hearing loss is caused by a combination of problems in the middle and the inner ear or the auditory nerve. For example, the person may have a noise-induced hearing loss from noise exposure and a perforation in the eardrum. The combination of sensorineural and conductive hearing loss is therefore, mixed. 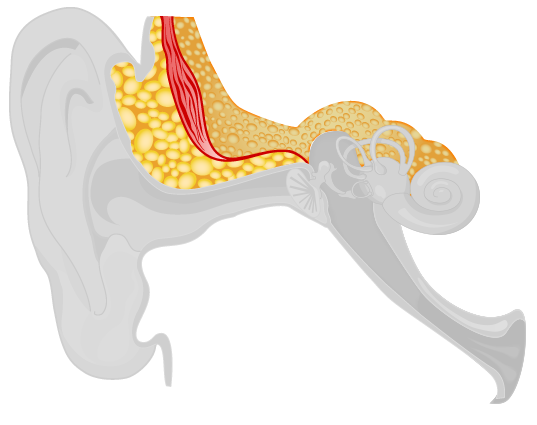 Since hearing loss is most often a very gradual process, many of the symptoms are subtle. As hearing loss progresses, not all sounds are lost at an equal rate. Most often, the higher frequency sounds, which contain consonant information, are most affected. People typically notice a loss of volume and/or clarity in difficult listening situations (i.e., noisy restaurants, groups, family gatherings). Symptoms may include difficulty understanding at public gatherings (theaters, place of worship); straining to hear the TV, radio or telephone; asking others to repeat themselves. Many feel that as a result of their hearing loss, their social life is hindered. They may feel that they are nodding and smiling more—but understanding less. Hearing loss often has complex consequences. Many facets of everyday life become increasingly more difficult. Conversations with loved ones, work, social events, phone calls and watching TV can be particularly challenging. In many cases, people with hearing loss will become frustrated and may even withdraw and become socially isolated. In this way, quality of life diminishes significantly. Studies have shown that people with hearing loss who do not use hearing aids experience more frustration, sadness, fear and anxiety than hearing aid users. Many people will reduce their social activities, have trouble concentrating, and may become emotionally unstable. On the other hand, studies also show that individuals who use hearing aids experience a dramatic increase in quality of life as soon as they begin wearing them. They maintain better family relationships, are more alert and relaxed, have more self-confidence and experience more independence and security. If hearing loss is not identified and treated, it may result in physical issues such as tiredness or fatigue, headaches, and stress. If you experience hearing loss and recognize some of the symptoms described above, please contact our audiologists for a consultation. The ultimate goal of amplification is to restore – to as large a degree possible – the full range of hearing. This means that soft sounds should sound soft but clear, and comfortably loud sounds should be audible and understandable (loud, but not painfully loud). Hearing aids compensate for hearing loss by providing volume and clarity to your existing hearing range. Modern hearing instruments help you to function better in daily communication situations. Behind-the-ear (BTE) aids: Most parts are contained in a case that rests behind the ear. The case is connected to an earmold or an earpiece placed inside the ear by a piece of clear tubing. BTE devices are fastened on the ear with an ear hook and the ear molds are custom made to fit the user’s ear. These devices typically provide an optimal amount of power for more severe losses. 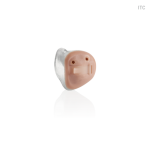 In-the-canal (ITC) aids and completely-in-the-canal (CIC) aids: These hearing aids are contained in tiny cases that fit partly or completely into the ear canal. They are the smallest hearing aids available and offer cosmetic and some listening advantages. However, their small size may make them difficult to handle and adjust. Keep in mind that not all hearing aid styles are recommended for every hearing loss. Because these devices are small, they only have one microphone system which offers less performance in background noise, compared to the BTE and RITE instruments. In-the-ear (ITE) aids: All parts of the hearing aid are contained in a shell that fills in the outer part of the ear. The ITE aids are larger than the ITC and CIC aids and for some people may be easier to handle than smaller aids. Receiver-in-the-ear (RITE) aids: Similar to a small BTE instrument, a case sits on top of the ear. 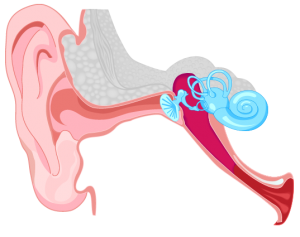 However, instead of tubing and a custom earmold, there is a slim wire that connects to the speaker (receiver), which sits inside the ear canal. A custom mold may be fastened to the wire, or a soft, pliable dome may be fit. 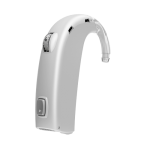 These devices offer comfort for individuals with less severe hearing losses and are very discrete on the ear. The dual microphone system allows for excellent performance in background noise. 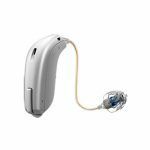 *For more information, visit our hearing aids product page. The standard industry hearing aids warranty from the manufacturer ranges from 1-3 years depending on company and product selected. In addition, we offer extended warranty options for hearing aids that are no longer under manufacturer’s warranty. Ask our audiologists for this information during your discussion about hearing aids. A hearing aid receives and amplifies sound in the frequency region where there is hearing loss. The result is improved audibility (volume) and intelligibility (clarity). The four basic components of a hearing aid, include; 1) a microphone to receive sound; 2) an amplifier to strengthen the signal; 3) a receiver (speaker) to convert the electrical signal back sound energy; and 4) a battery to power the system. Modern hearing aids are multichannel, fully digital instruments that are finely tuned to each individuals hearing loss. They contain fully adaptive sound features that allow an individual to hear optimally in many different listening situations. Tinnitus refers to a percept of sound in the ear that no one else can hear. It often sounds like a ringing, buzzing or hissing inside the ear. The most common reason for this condition is accompanying hearing loss. The hearing loss can be caused by damage to the nerve endings inside the ear, through exposure to loud sounds, hereditary factors or exposure to toxic medications. Ask our audiologist about strategies that can help you manage your tinnitus. Assistive listening devices are systems that use a transmitter and a receiver to help individuals hear in specific environments where listening may be challenging. For instance, these devices will help when the speaker is at a distance (such as in a classroom, place of worship, convention hall, or theater) or where there is extensive background noise (such as in a restaurant or sports arena). Similar devices may also connect hearing aids to the home phone, cell phone, and television . Ask our audiologists about all our device options.